We like creativity. We like it a lot and we are pretty sure you like it too. We think creating is good for your body, mind and soul... a holistic form of wellness. If you think you might want to embrace some creativity and wellness through art, we can help you find your creative outlet. Can't draw? We will teach you. Can't sew? We can teach you. Can't drive? We can't help you. We CAN help you, achieve your creative goals to become the best YOU. Embrace your creative joy. ART DEN - every Saturday, starting Sept 9th 10am-1130am, 6 weeks. Ages: under 10. Join our Multi-media exploration. Introduce your child to a variety of art mediums. Includes painting, drawing, sculpting and more! CARTOONING - every Tuesday starting Sept 12th 8pm-9:30pm, 6 weeks. Learn to create characters and stories. 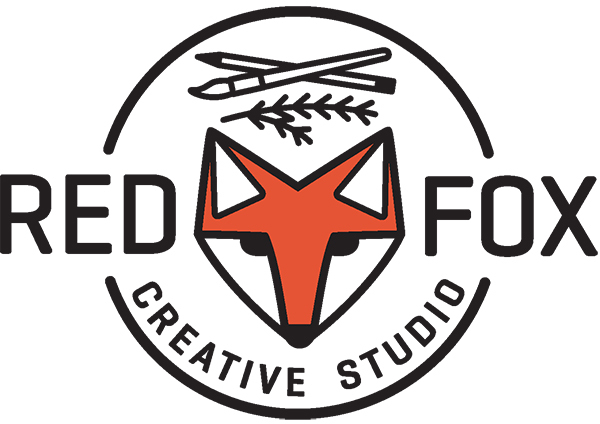 All registrations are online at www.redfoxcreativestudio.ca. DEADLINES are the week before a class starts and each class is limited to 10 spots. FAMILY COLOUR BELT PROGRAM - This program is for students of all ages and abilities! Class options on Mondays, Wednesdays, and Fridays give your family lots of options to join us. This class works on the traditional Taekwondo Martial Art from White to Blue belt levels, introduces mindful practice, self-control, flexibility and fitness. This is an inclusive program and we welcome students of all abilities. YOUNG OLYMPIANS PROGRAMS - A once a week Monday class that is focused on little bodies and minds that are going through some big changes. 4 - 7 yrs. Just starting Kindergarten? Or starting full-day school with Grade 1? We know these are big changes in the worlds of our families. This class is only 45 minutes and though we do always work on respectfulness and self-control, this class caters to shorter attention spans and the need for greater energy output by keeping the skills basic and real, the action always moving, more flexible transition times and methods, and a smaller class size (max 10). Spaces are limited, please register early! ADULT BOOT CAMPS - kicking, punching, and sweating is what we are about here. Two class options on Tuesdays and Thursdays to fit your schedule. We keep the skills basic so that we can work out hard and go home happy! No matter where you are starting, you fit into this class. Our workouts are time and effort based: can't do 20 push-ups (...or 2? ), no problem! Have never kicked anything in your life? Just wait until you try! We work on X-amount of effort for Y-amount of seconds to get the job done. We will help with technique to make you more efficient but this program is designed to help you meet your goals - no matter where you are starting from or where you want to go! NO SCHOOL CAMPS - Day and holiday-week camps for the entire school year. Go to our website for dates and prices. Family and multiple-camp discounts available. Register online at www.artisantaekwondo.ca by Thursday, August 31st to start classes September 6th! Get 50% off of your first payment - whether you pay for one month or 6, for you or your whole family (ends September 30th). 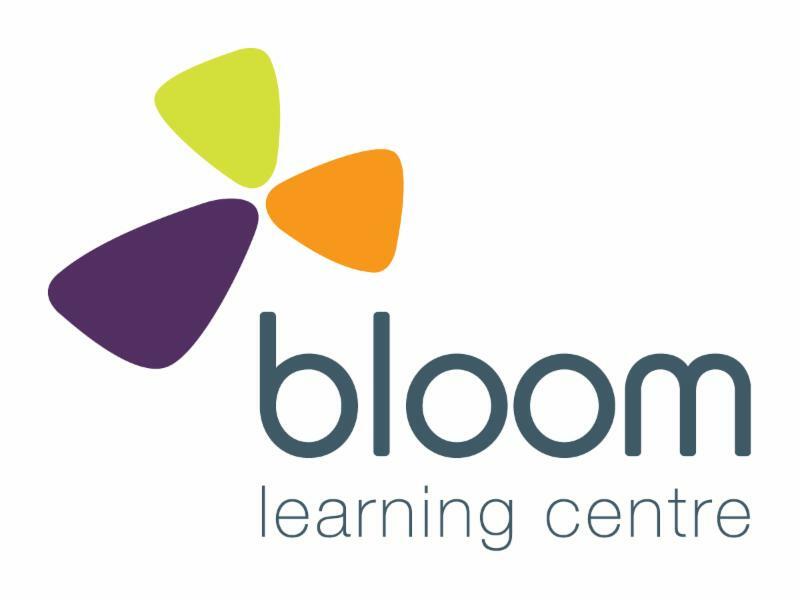 Bloom offers group tutoring sessions as well as customized one-on-one classes for students in pre-kindergarten to grade eight. The sessions are based on English Language Arts and Math. Other subjects can be arranged for one on one classes. All of our teachers hold an education degree and are certified to teach in Saskatchewan. You will see the difference a trained professional can make! Bloom provides small group instruction for Math or English Language Arts consisting of 2-4 students to one instructor. Group tutoring is an affordable option for students who are not drastically below grade level but would benefit from a review of the basics in order to build a strong foundation for future academic success. Through these classes students will not only learn essential skills but will recognize other students have similar difficulties and build their self-esteem fostering a positive attitude towards the subject matter. Bloom also provides one on one tutoring that is customized to your child's individual needs. Individual tutoring allows for greater instruction time with the teacher as well as the ability to focus on your child's unique problem areas. The students attend Bloom for 1.5 hrs once a week. The class times are usually either 4:30pm-6pm or 6:30pm-8pm and the tutoring is typically held on weekday evenings (Monday-Thursday). For some semesters Saturday morning times may be available as well. We are currently accepting requests for the fall semester which begins in September. If you would like to secure a spot for the upcoming semester, please fill out the tutoring request form (paper copies of the form may also be obtained from Bloom). Spots are filled in the order the request forms are received and classes fill up quickly. A $30 discount applies if payment is made in full for the entire semester prior to the beginning of the semester. We are now accepting registration for our fall 2017 session. Registration is ongoing. Our 11 week session begins the week of Saturday, September 9th - Friday, September 15th. We have something for everyone! Our Movement Program offers our beginner walkers and toddlers a chance to get on the gym floor with an instructor doing various gross motor skills on our circuits. Each circuit offers a chance for the kids to work on balancing, climbing, swinging, hanging, rolling and jumping. Our preschool classes begin with circuits then move to developing core gymnastics skills while using the larger equipment including the bars and beam. Our School Age Gymnastics allows for kids over the age of six to start to further their skill development by progressing their skills in our Recreational Artistic Program (Girls Intro/Inter/Advance and Boys Rec Intro and Inter). The Artistic Program includes Bars, Beam, Vault, Floor, Parallel Bars, Rings, and Pommel. Our school age kids can begin to develop skills in our Trampoline and Tumbling program. They will work on skills and progressions on the Olympic sized Trampoline, double mini, and tumbling (floor). We also offer a variety of specialty classes. They include a recreational cheer class, Little Ninja (5-7 yrs. ), Parkour Freestyle Acro (8 and older), and 3 levels of our Tumbling and Acro program. 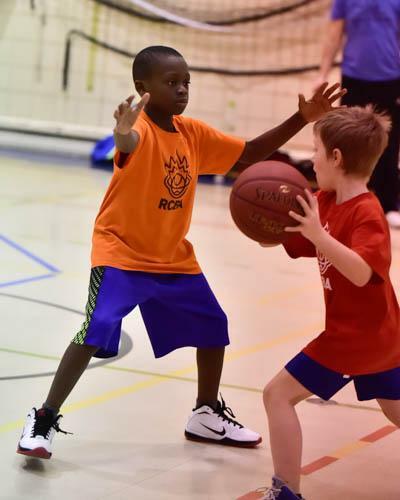 The RCBA runs youth basketball programming for children in Kindergarten to Grade 12. We welcome players of all skill levels, no experience needed to play! 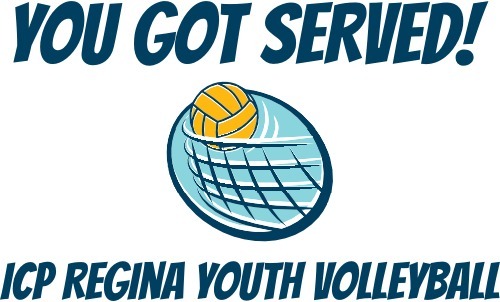 ICP Regina Youth Volleyball offers programs for kids in grades K-9, in addition to our volleyball leagues for those in grades 6-9. Our mini volleyball program is so much fun! Mini-Volley is an approach for introducing children to the game of volleyball. 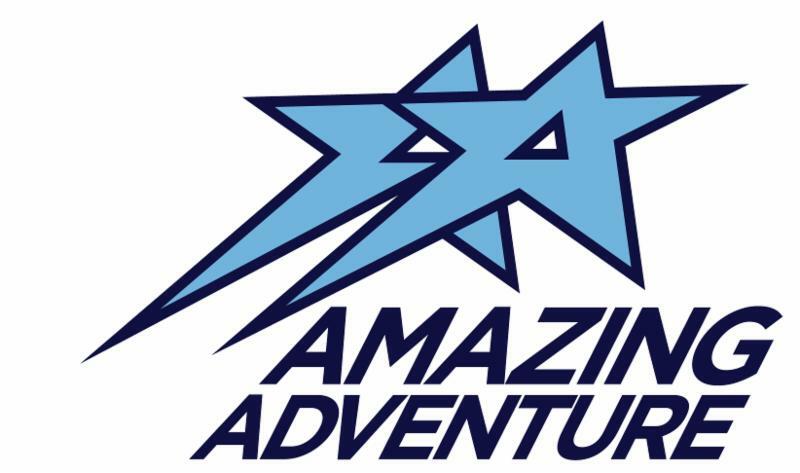 Learn to Play (grades 4, 5, 6) - this program teaches new players the basic skills of volleyball. We practice once a week and finish each session with a 4v4 game on mini courts to put the skills learned into practice. 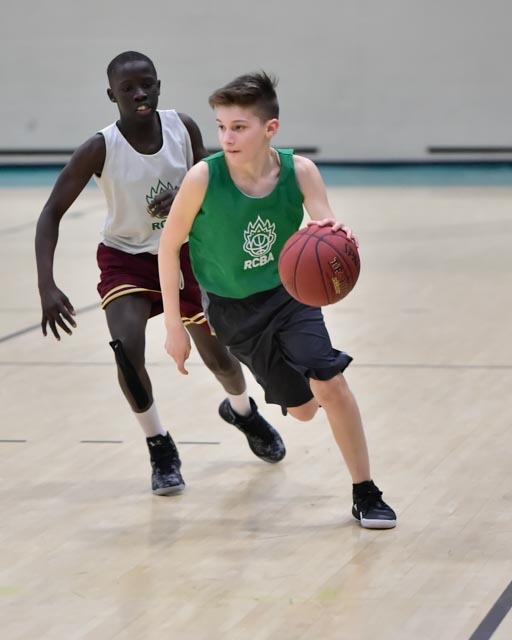 Competitive League - Junior (grade 6/7) and Senior (grade 8/9) League - our league runs in the fall and winter for players in grades 6-9. Players are evaluated and evenly distributed among teams. 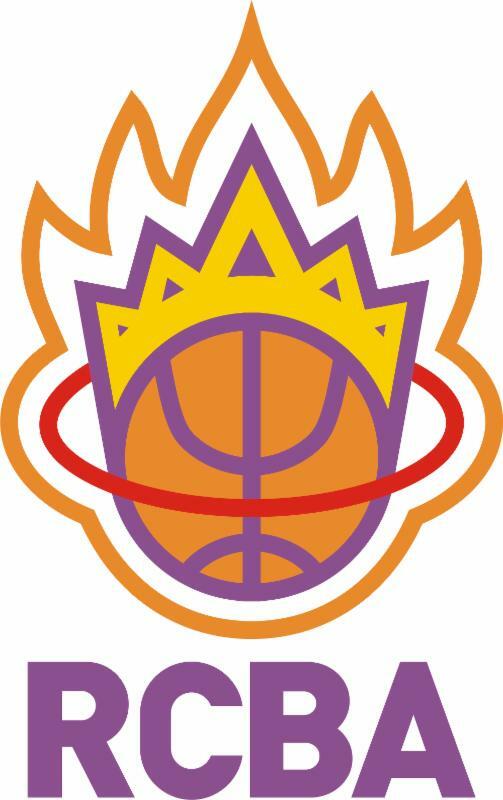 Each team practices for 1 hour per week and plays 1 game per week against another team. The season ends with a mini-tournament in Regina. Smashball is a cool new youth volleyball experience for boys that has been growing rapidly across the globe. The game has four levels of play and each rally ends with volleyball's most exciting and challenging technique: the smash! There is very limited space for this program, please register early to avoid disappointment! All programs follow the Volleyball Canada Long-Term Athlete Development Model and implement fair play rules at every level. 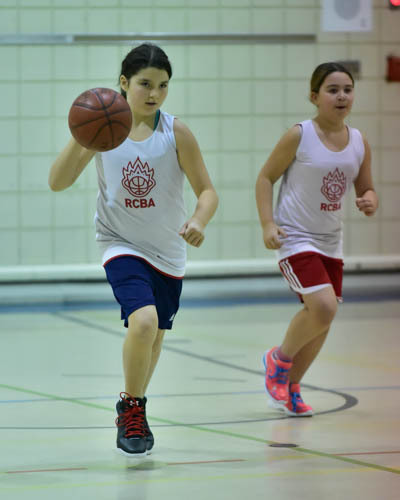 Programs/leagues fill-up quickly every season - don't delay! Join us this fall! 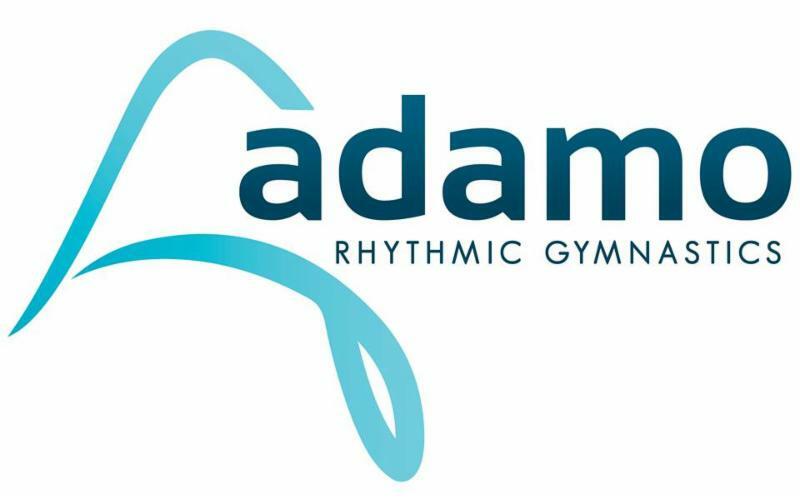 Adamo Rhythmic Gymnastics is celebrating its 10th season in 2017-18! Rhythmic gymnastics is an elegant and dynamic Olympic sport that combines the strength and agility of artistic gymnastics, the grace of ballet and dance, and adds incredible apparatus handling. It is a beautiful sport to watch, and is a challenging and exciting sport to participate in. We offer programming in Regina for gymnasts beginning in pre-kindergarten through university and beyond. Gymnasts work as teams or as individuals with apparatus like balls, hoops, ropes, clubs, ribbons, and other creative apparatus we think of! We love performing and sharing our skills, and gymnasts have opportunities to travel the province, the country and the world as they progress through the sport. Gymnastics is a sport for life, and Adamo encourages our athletes to stay active, and become lifelong skilled movers. We want to share our passion with the Regina community by welcoming new gymnasts this fall! Our Adamo gymnasts become a family as we are a small organization, and it is always a great pleasure to get to know new friends. Visit www.adamorhythmics.ca or contact us at adamorhythmics@gmail.com. We can't wait to start our new season and hope you'll join us! The best way to preview Luther College High School and meet other students who want to attend Luther is to join the Future Luther Student program. Students in Kindergarten to Grade 8 are welcome to join the Future Luther Student program. invitations to special Grade 8 events. Please call 1.306.791.9174 or email admissions@luthercollege.edu for more information.